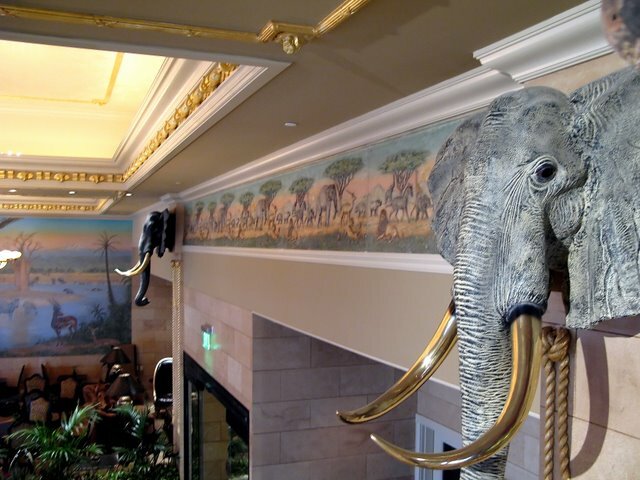 Melville Holmes has been associated with Spokane’s famous historic Davenport Hotel since its renovation began in September of 2000. 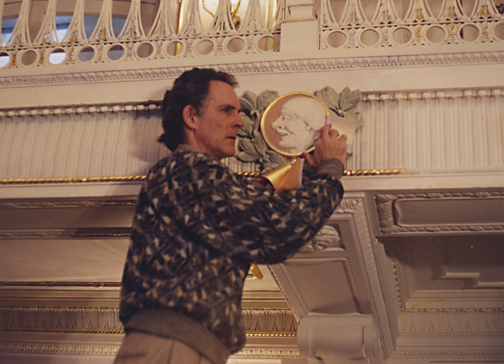 Known as the hotel’s “Artist-in-Residence,” Holmes was responsible for much of the aesthetic renovation of its interior. Additionally, he has been involved in other projects for the Davenport Collection of hotels, including the Davenport Tower Hotel, the Post Street Ale House, and to a lesser extent the Hotel Lusso and the Davenport Grand Hotel. 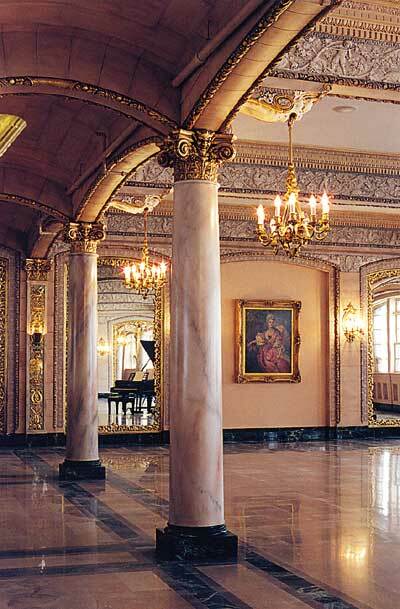 “The Davenport Hotel, was the most modern hostelry in the United States when it opened in 1914. 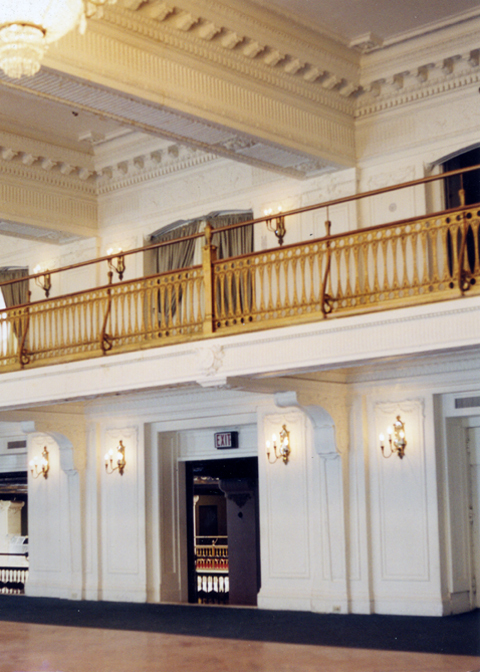 It was the first hotel with air conditioning, the first with a pipe organ, and the first with a central vacuum system. 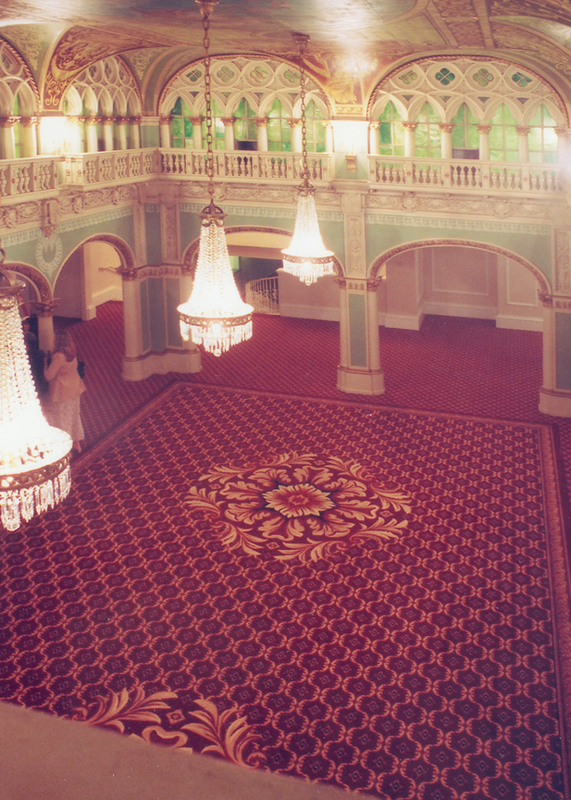 The Davenport Hotel shut down in 1985. But local entrepreneurs, Walt and Karen Worthy bought the hotel in 2000 and gave it a top-to-bottom renovation. 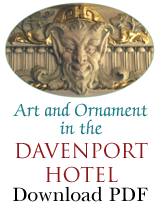 The Davenport is grand again!” Click to see KSPS’s presentation of the full PBS video: The Davenport Hotel: Grand Again. Narrated by Ellen Travolta. 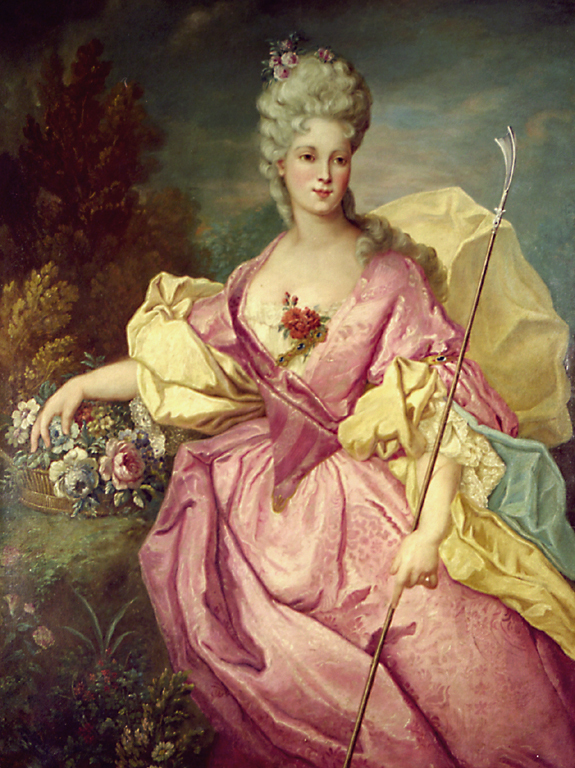 Isabella Room painting after restoration. 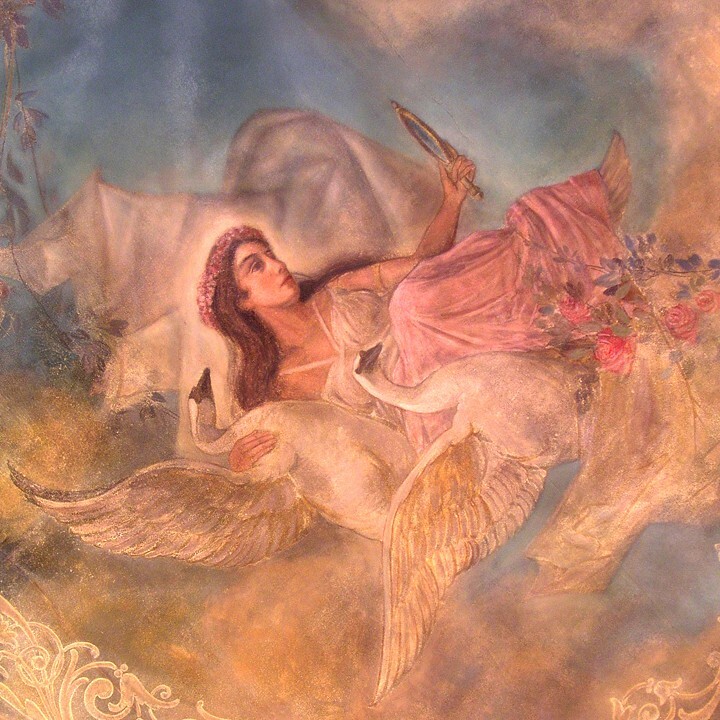 Detail of Isabella Room after aesthetic renovation. © J. Craig Sweat Photography. Used by permission. 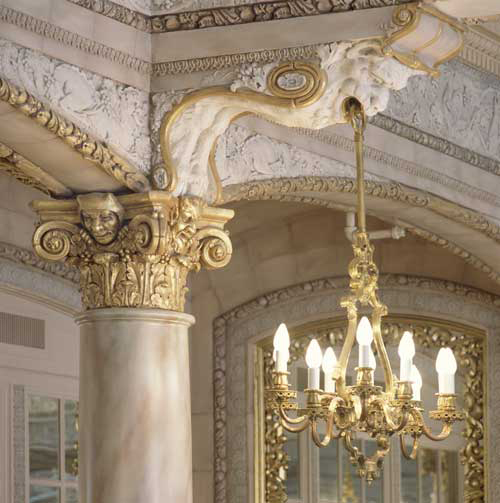 Detail of capital and chandelier in the Isabella Room. © J. Craig Sweat Photography. Used by permission. 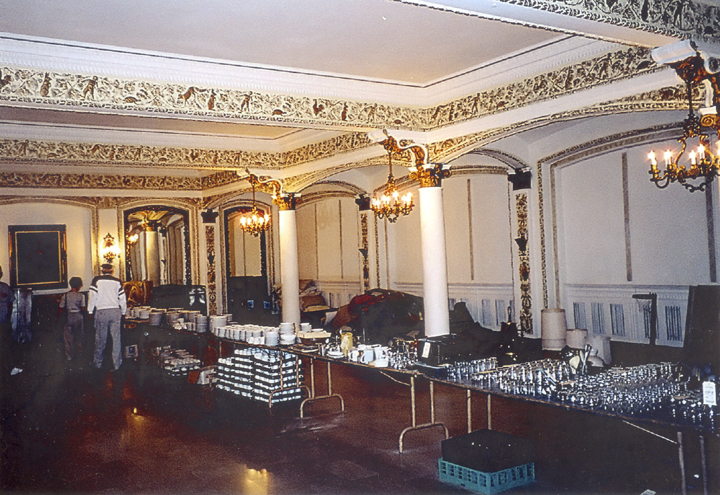 Marie Antoinette Ballroom before renovation. 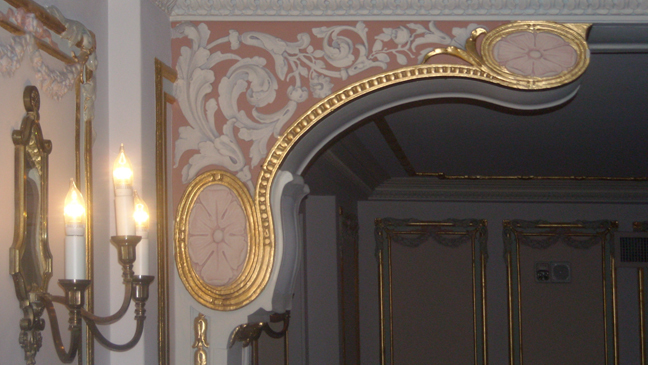 Ceiling detail of Marie Antoinette Ballroom after renovation. 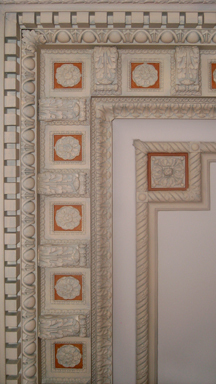 Ceiling detail from the Hall of the Doges before restoration. Design for Brinton’s U.S. Axminster wool carpet. Final design of the back bar for the Post Street Alehouse. 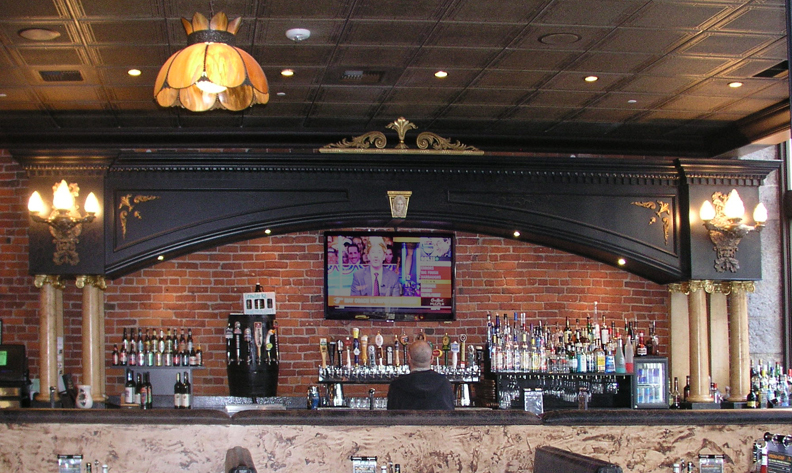 The back bar for the Post Street Alehouse. 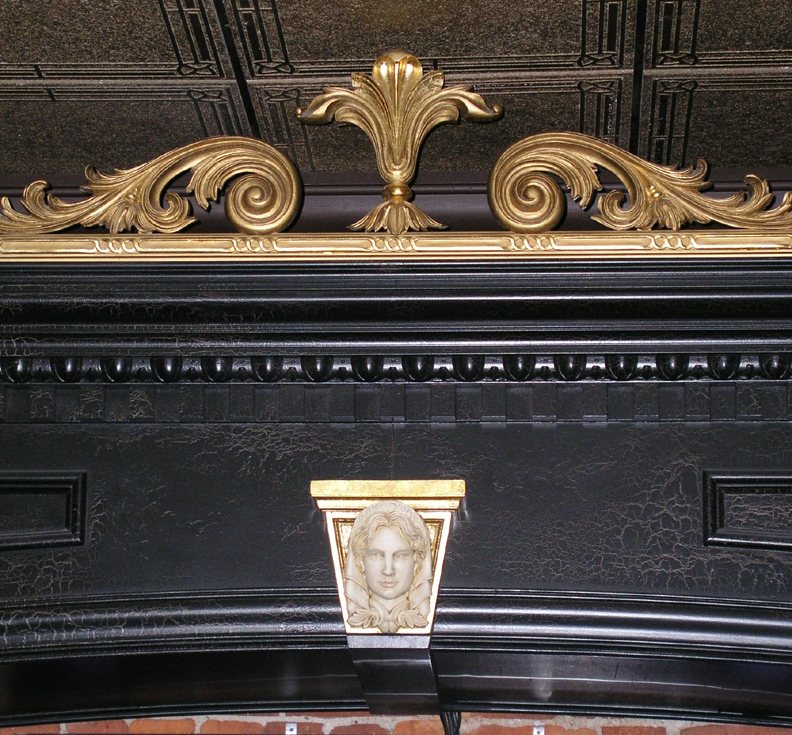 Detail from the back bar of the Post Street Ale House. 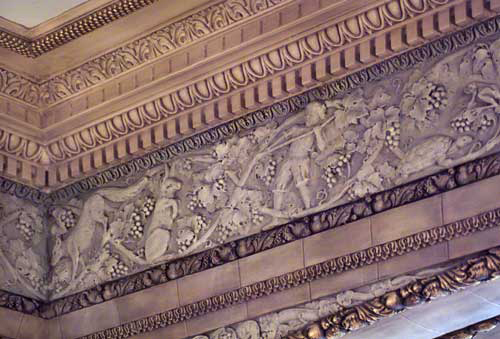 Installed frieze in the lobby of the Davenport Tower Hotel. 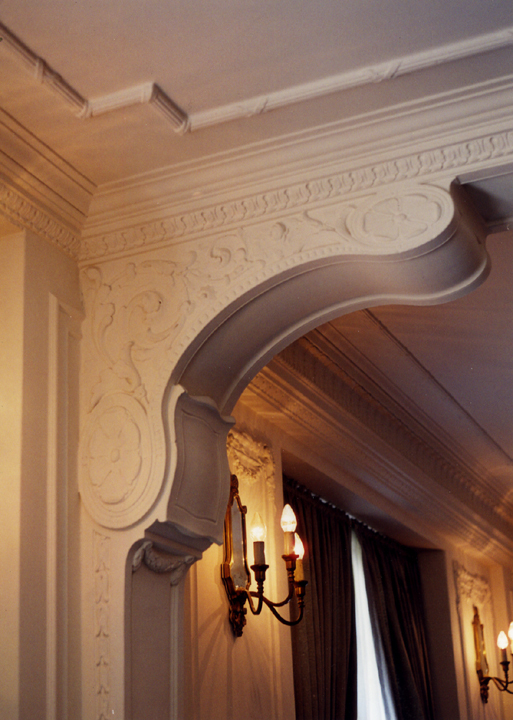 Designed by Melville Holmes, hand carved and cast in plaster by Petr Shiva. 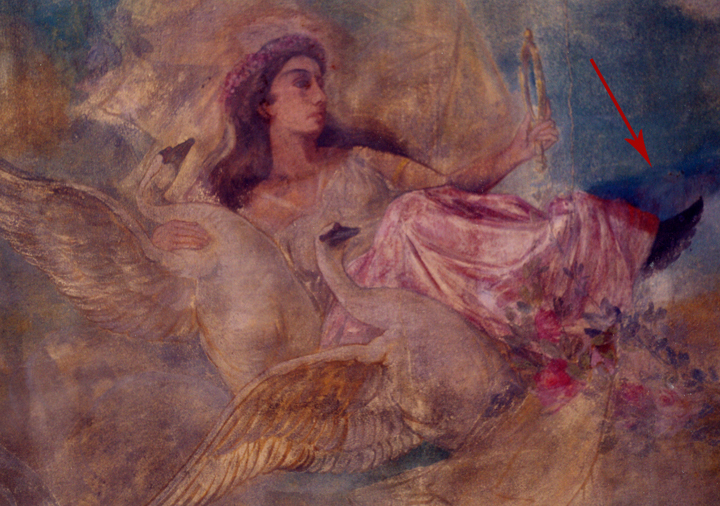 Polychromed by Melville Holmes and assistants. 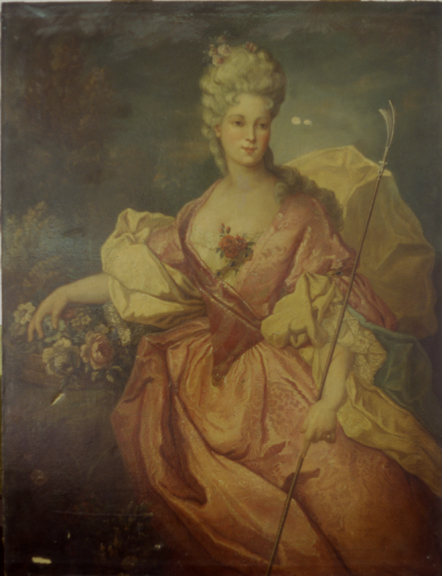 A finished panel framed as wall decor. 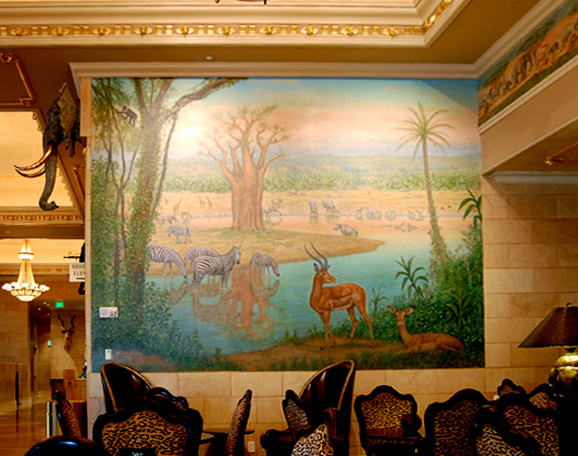 This is the artist’s own commentary on aspects of the historic Davenport Hotel.